Can you attach printable PDFs to order confirmation emails? 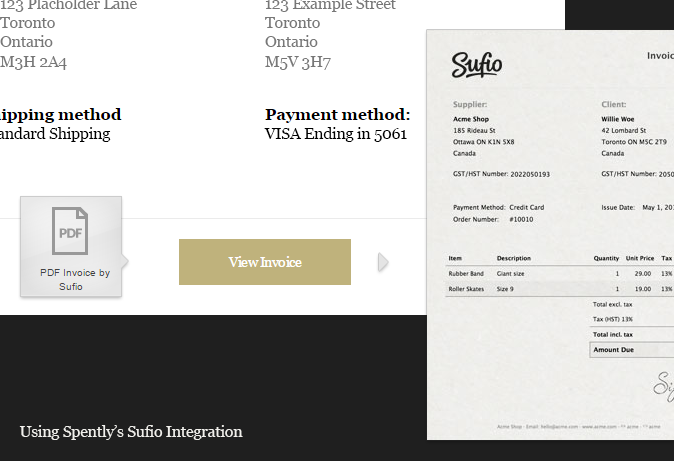 To include a downloadable PDF invoice in your order confirmation you must drag on the Sufio PDF invoice component in the Spenlty template builder. The component only works if you have the Sufio app installed. If you do not have it installed, when you try to use the component you will be prompted to install the Sufio app. Once the app is installed and the PDF invoice component is on your template, your customers will be able to download a PDF invoice for their order.